We have already posted the tutorial to Unlock and Jailbreak iOS 6.0.1 and iOS 6.0 Firmware Using RedSn0w Tool On Pre-A5 iPhone and iPod Touch devices, if you have missed it you can catch it Here and now good news is that iOS Jailbreaking Tool Sn0wbreeze has finally been updated to v.2.9.7 and the latest Sn0wbreeze v.2.9.7 is fully compatible to Unlock and Jailbreak iOS 6.0.1 and iOS 6.0 Firmware On Pre-A5 iPhone 4, iPhone 3GS and iPod 4G Touch devices. 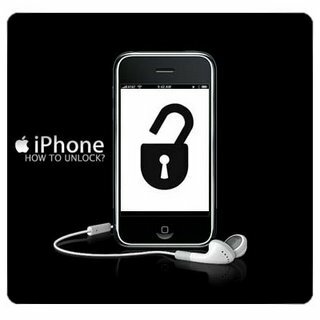 In this post we will guide you on How to Unlock and Jailbreak iOS 6.0 and iOS 6.0.1 with Sn0wbreeze 2.9.7 On iPhone 4, iPhone 3GS and iPod 4G Touch devices. Remember that Sn0wbreez 2.9.7 is a Tether Jailbreak which means that every iOS device will need to be connected to the computer and booted into a Jailbreak state every time, if your device gets hard booted or powered down and for any reasons. Untethered Sn0wbreeze Jailbreak for iOS 6.0.1 and iOS 6.0 Firmware for iPhone, iPad and iPod is under development process and it will takes time to be publicly available for users so in that case we still have an option to Tether Jailbreak iOS 6.0.1 and iOS 6.0 On Pre-A5 iPhone 4, iPhone 3GS and iPod 4G Touch by Using Sn0wbreeze 2.9.7 Tool. So let's start the Tutorial and Guide to Unlock and Jailbreak iOS 6.0.1 and iOS 6.0 On Pre-A5 iPhone 4, iPhone 3GS and iPod 4G Touch Devices Using Sn0wbreeze 2.9.7 Tool available for Windows and Mac. How to Unlock and Jailbreak iOS 6.0.1 and iOS 6.0 Firmware On iPhone & iPod Touch with Sn0wbreeze 2.9.7 Tool? Download the above mentioned software requirements on your computers or laptops and then simple follow below Tutorial and Guide to Unlock and Jailbreak iOS 6.0.1 and iOS 6.0 Final Firmware On Pre-A5 iPhone 4, iPhone 3GS and iPod 4G Touch Devices Using Sn0wbreeze 2.9.7 Tool. Step 1: Connect your iDevice to the computer or laptop. Step 2: Open the Sn0wbreeze app on your Windows operating system. Step 5: Click on the “Blue iCon” to proceed and select “Browse for an IPSW”. Now select the relevant firmware you downloaded earlier (iOS 6.0.1 or iOS 6.0). Step 6: Choose the Simple mode option from the available list of modes Sn0wbreeze will show you and click the next button. Step 7: Now you will need to restore this custom firmware to your device through the familiar iTunes method but first, the connected iOS device needs to be put into Pwned DFU mode. It can be done by using iREB option found on the top of Sn0wbreeze’s File Menu status bar. Step 8: Just close Sn0wbreeze and open up iTunes and select the connected device from the left hand menu. Step 9: After you have done that, Press and hold SHIFT key + click the Restore button in iTunes. Now iTunes will ask you to select the desired IPSW file. Select the custom built firmware file from the Desktop (that Sn0wbreeze has already stored their) and let iTunes restore it to the device. Step 10: This is a tethered jailbreak so you will also require to boot-tethered. Sn0wbreeze has already created an additional folder on the desktop called iBooty. Open it up, and Select the device you want to boot into tethered mode and hit the Start button. Step 11: Follow the onscreen instructions on iBooty to enter Pwned DFU mode on your device and then iBooty will automatically boot your device in tethered jailbreak mode. Congratulations!! You're Done! BEWARE: The above Content and Tutorial was provided by absinthejailbreak which is only for informational and testing purpose and we at TechGlobeX don’t support or promote piracy in anyway. This article is purely for informational purposes only. Downloading and installing cracked apps are illegal. The whole purpose behind above tutorial and guidelines is for app testing and we encourage peoples to purchase original app directly from App Store.